Thank you Ari Seth Cohen for keeping up the great labor of love that is advancedstyle — that is New York City. 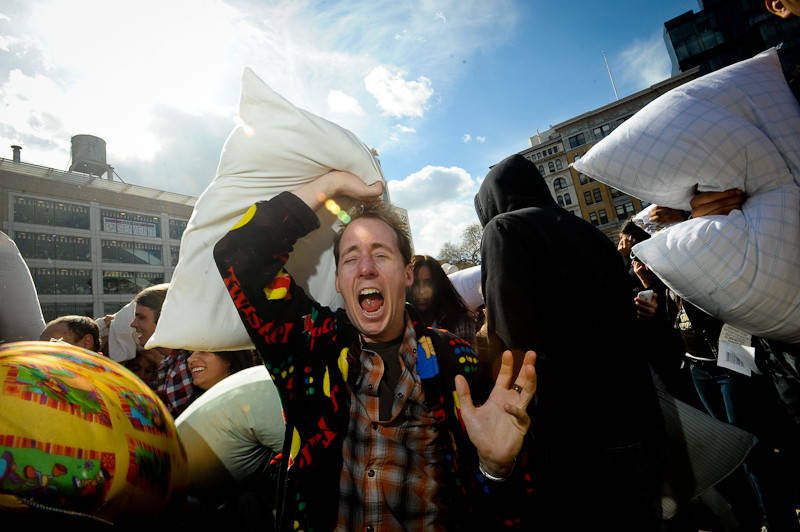 Since 2007 the kids at Newmindspace have been organizing World Pillow Fight Day in cities all over the world, and for New Yorkers who weren’t in the Union Square area this Saturday afternoon it’s our regret to inform you that you missed it. 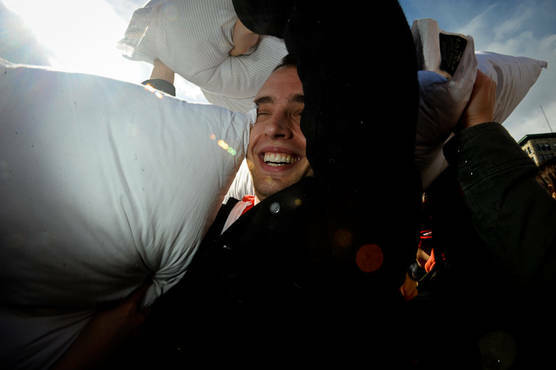 Yes folks, once a year people gather in their designated spots and beat the stuffing out of each other until they ain’t got no more stuffing…and then later that stuffing is gathered up, sanitized and donated to Pillows for Puppies, who in turn make dog beds for shelter dogs. 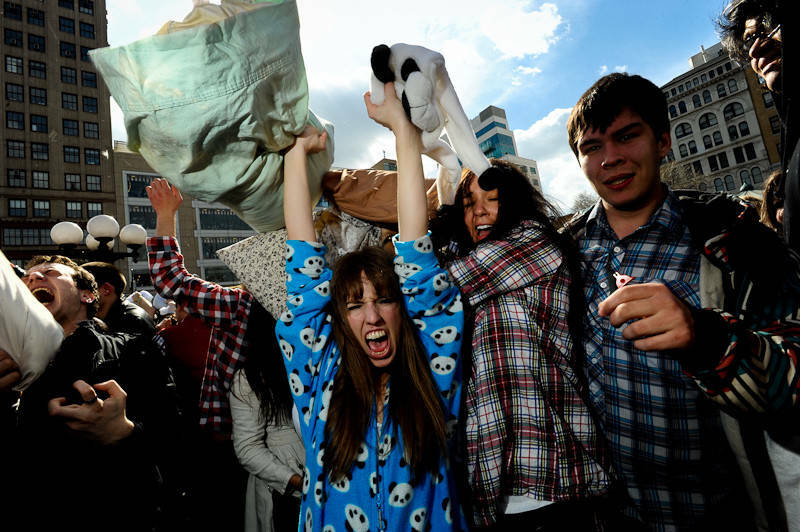 … and have a good time, rock-out, hide, play, dance, and be merry till the early morning. R.I.P. sir… I will always remember your hospitality. Thanks for the rockin times. As a Post profile tells it, Hill was born in Jersey and got his first gig at Kenny’s Castaways, where he booked a young Bruce Springsteen for $200 a week. 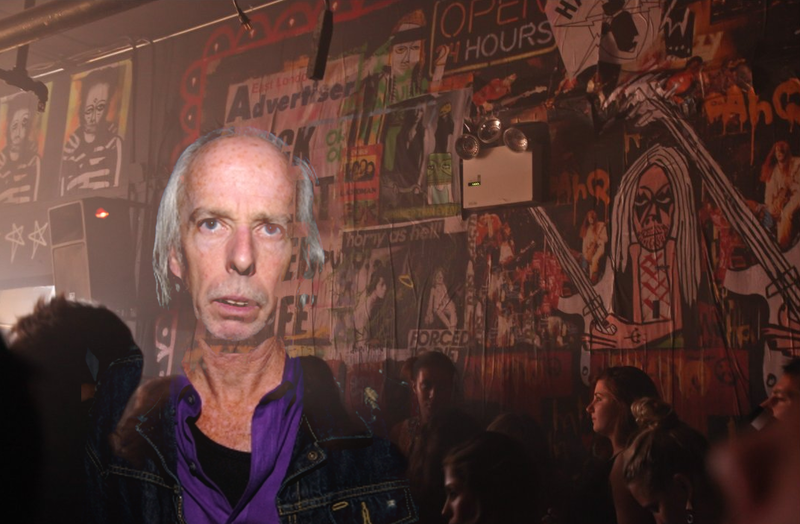 In 1985, he went on to manage the legendary Cat Club, where everyone from David Bowie to Poison to Soundgarden performed. 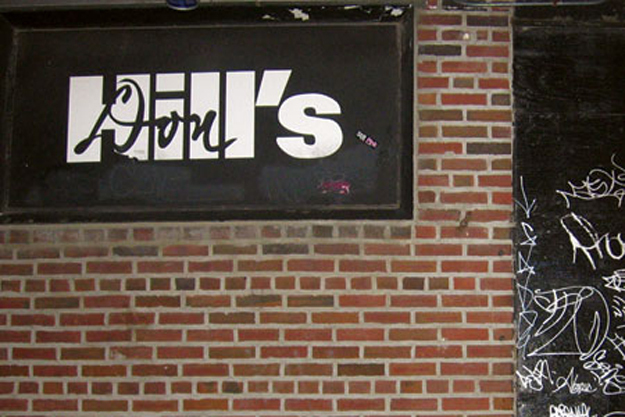 He opened Don Hill’s in 1993 — in addition to hosting an eclectic array of local acts and the occasional up-and-comers like the Strokes, the dive was home to popular weekly parties like the Misshapes, Tiswas, BeavHer, SqueezeBox, and of course 80s Night. 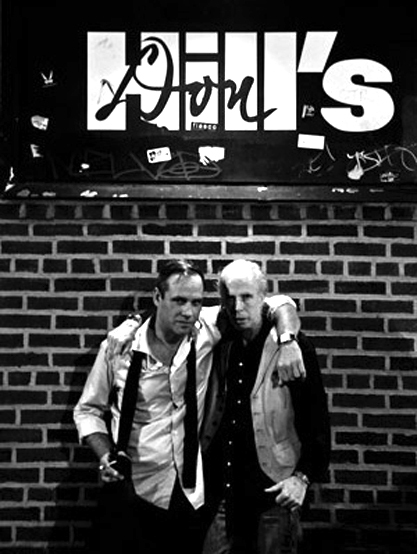 Hill was known as an amiable, hands-on host (even stamping hands at the door), and he kept the dream alive during a time when nightlife was marred by bottle-service BS and “quality of life” crackdowns, until Nur Kahn and Paul Sevigny recently joined him. Other clubs, such as Santos, are paying respects, and there will no doubt be memorials around town.